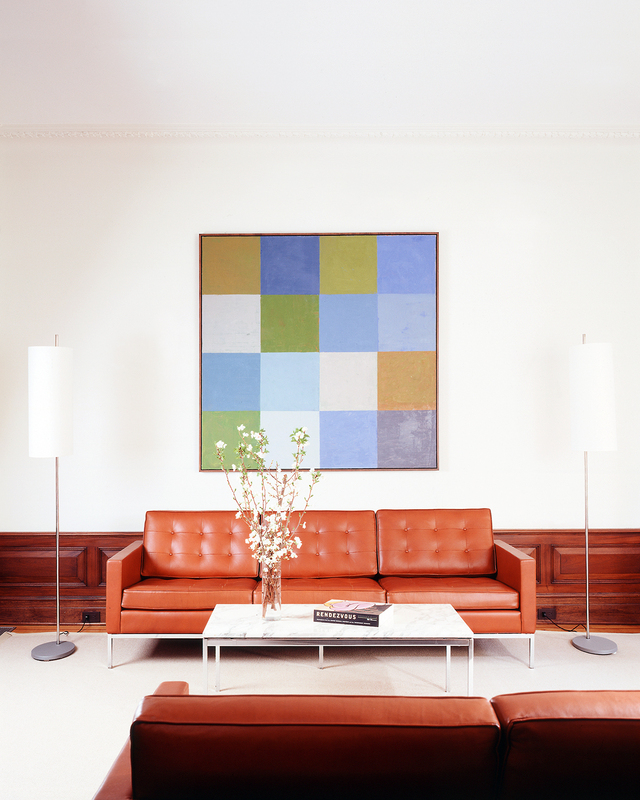 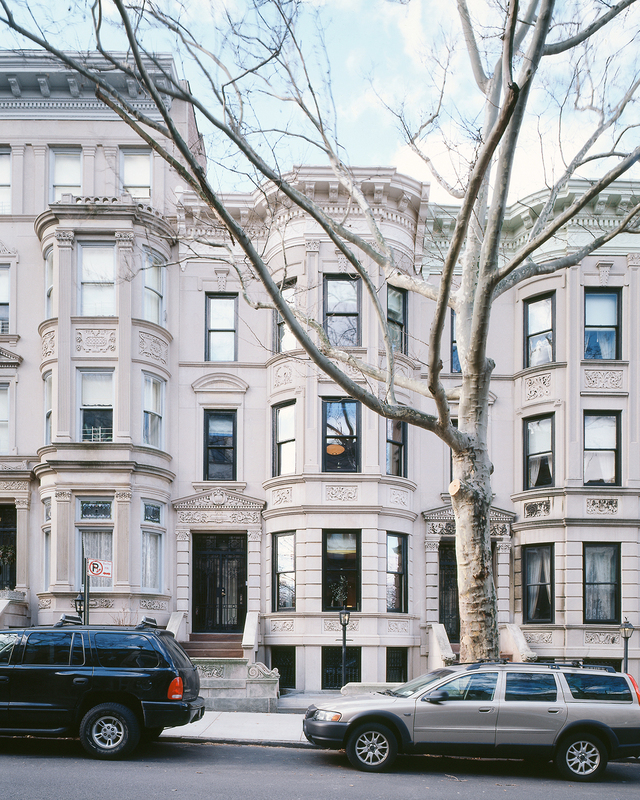 Half historic restoration, half modern art—this grand limestone house is enlivened by the contrast between the two. 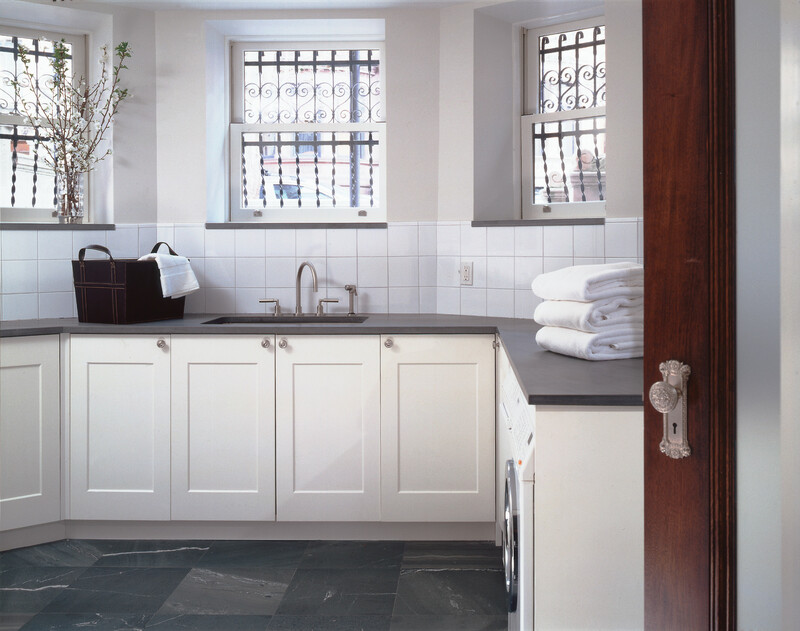 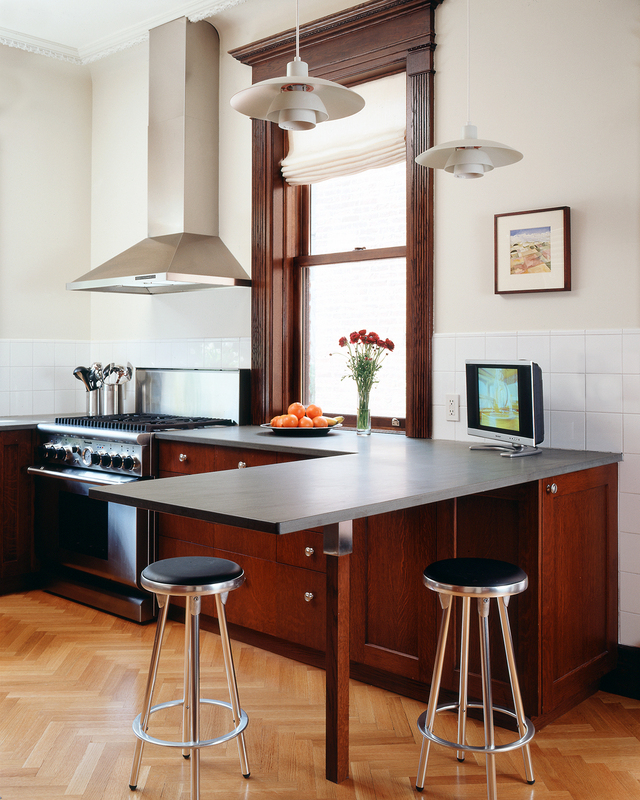 In the kitchen, sleek stone slabs set off a new bay window patterned after the period door casings. 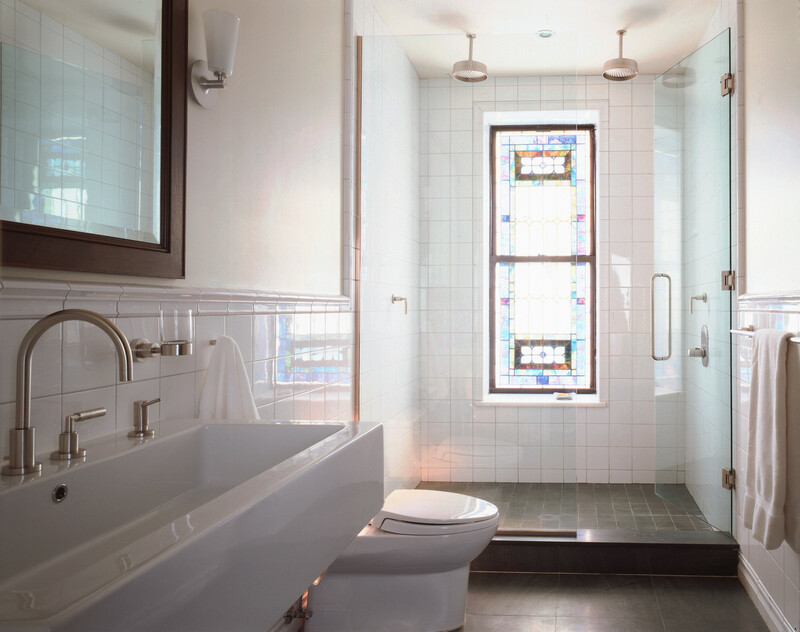 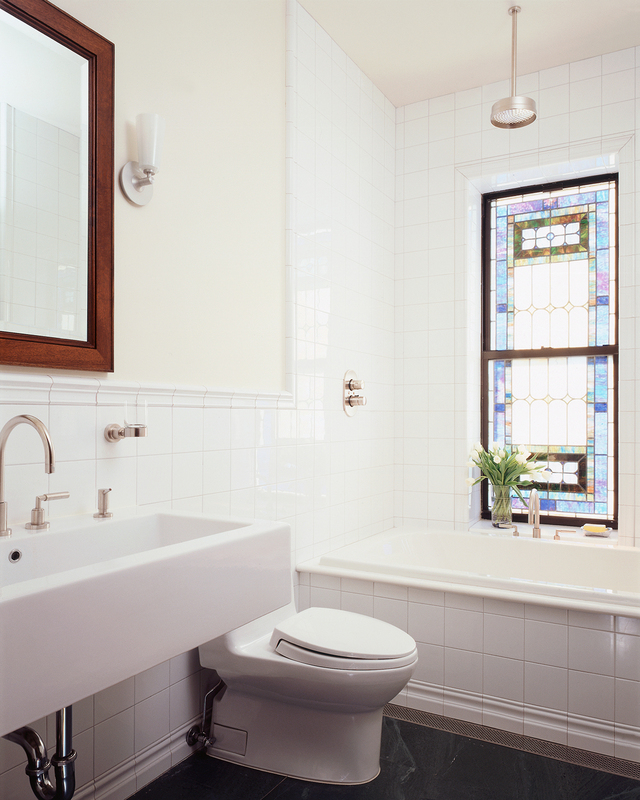 While a refurbished stained glass window takes on new life in a minimalist bathroom. 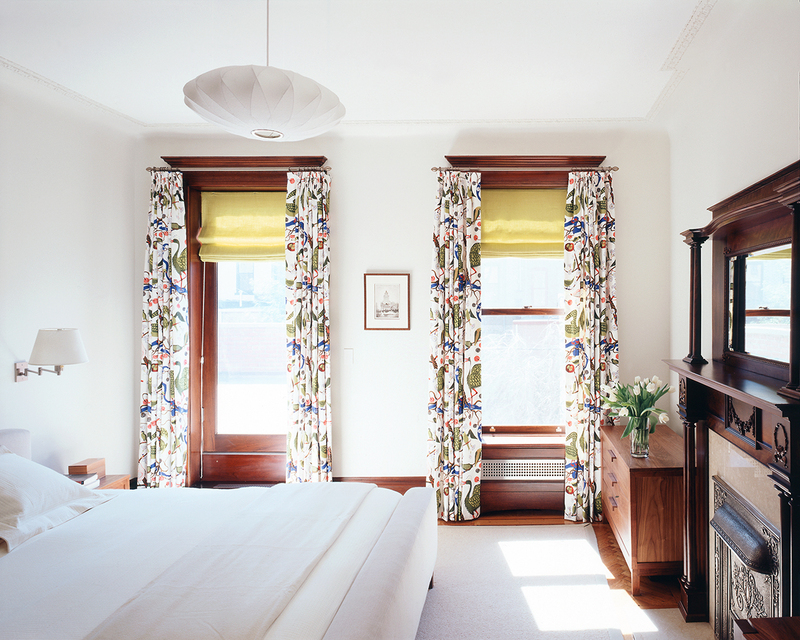 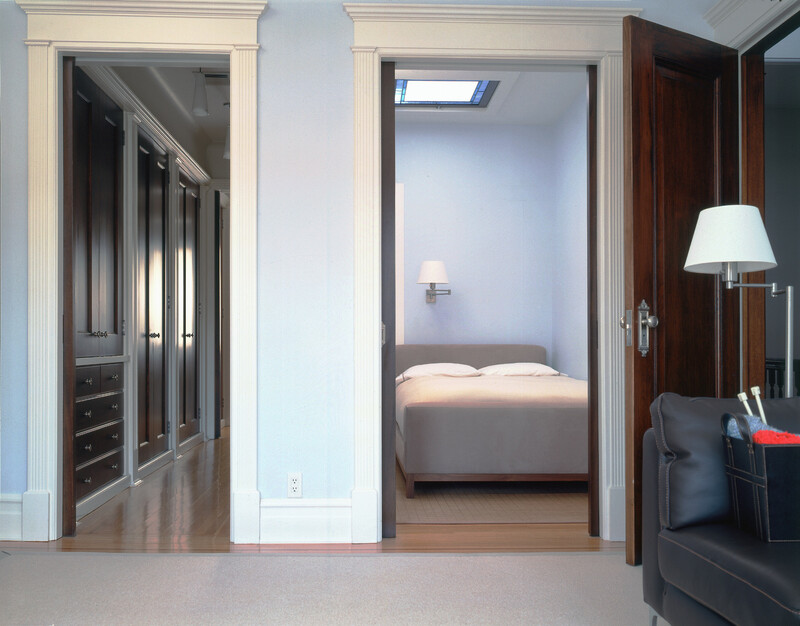 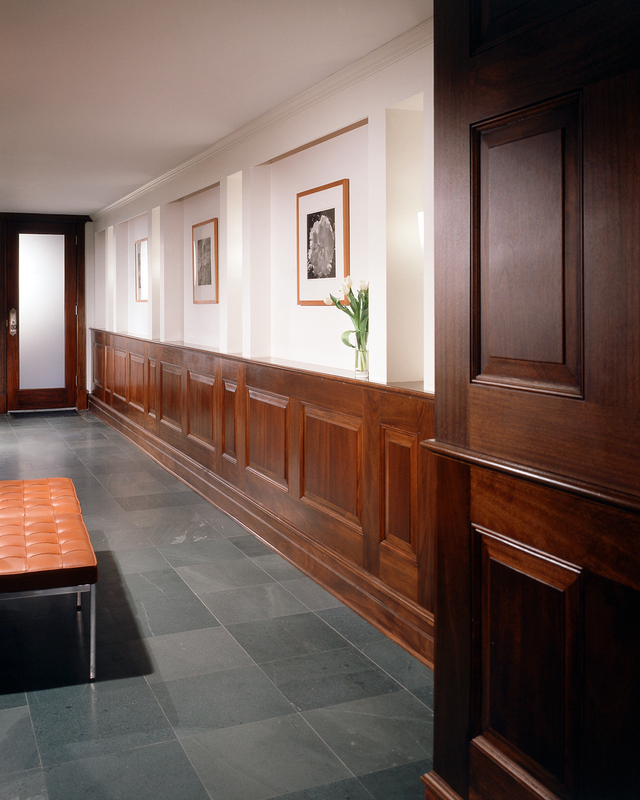 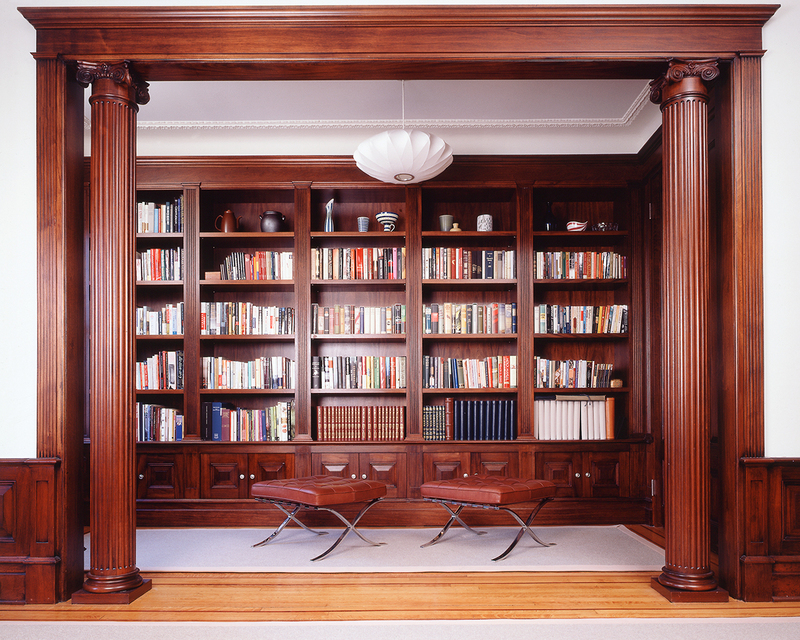 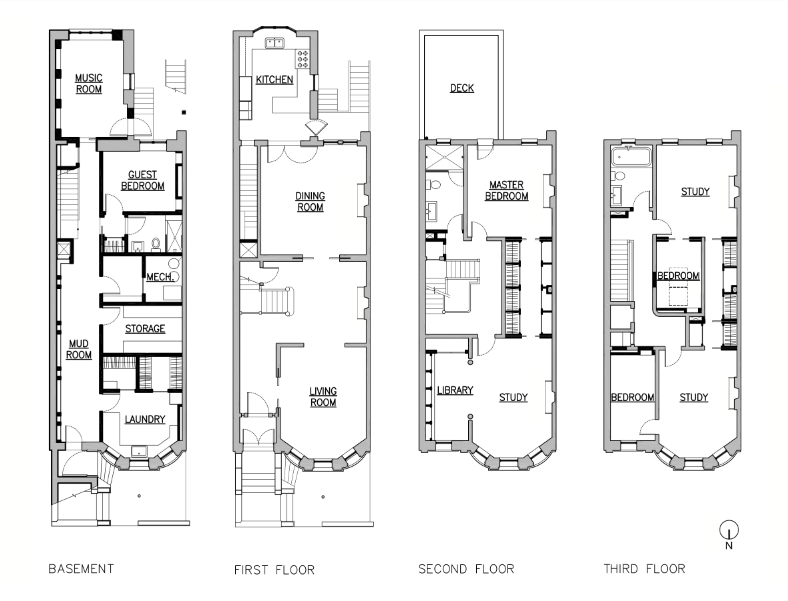 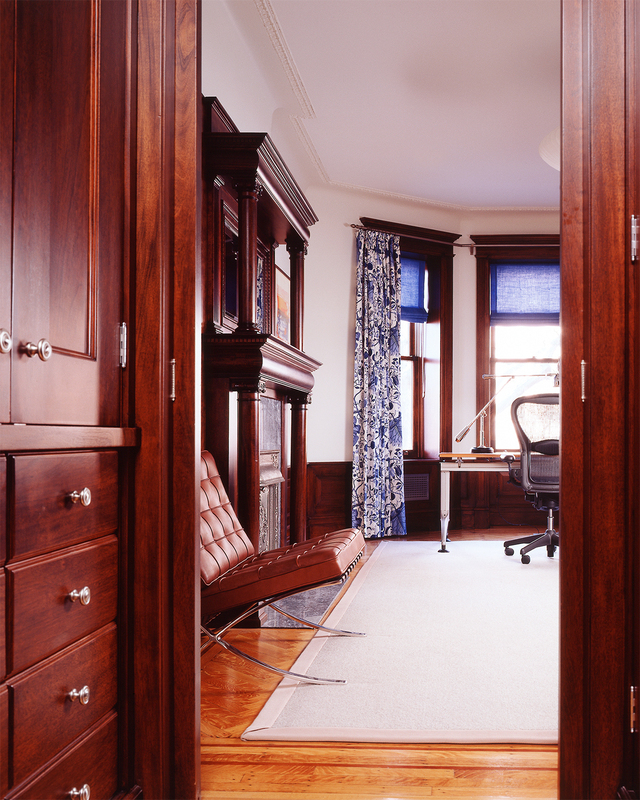 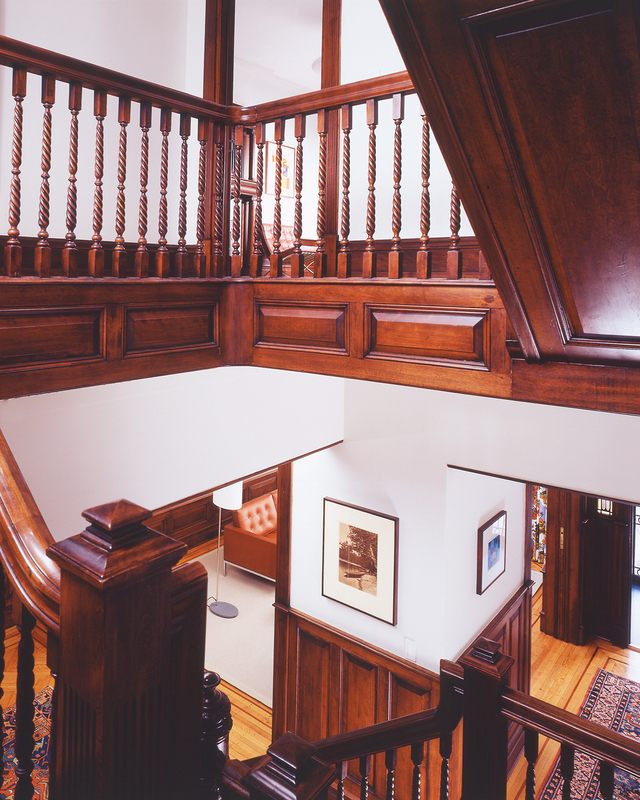 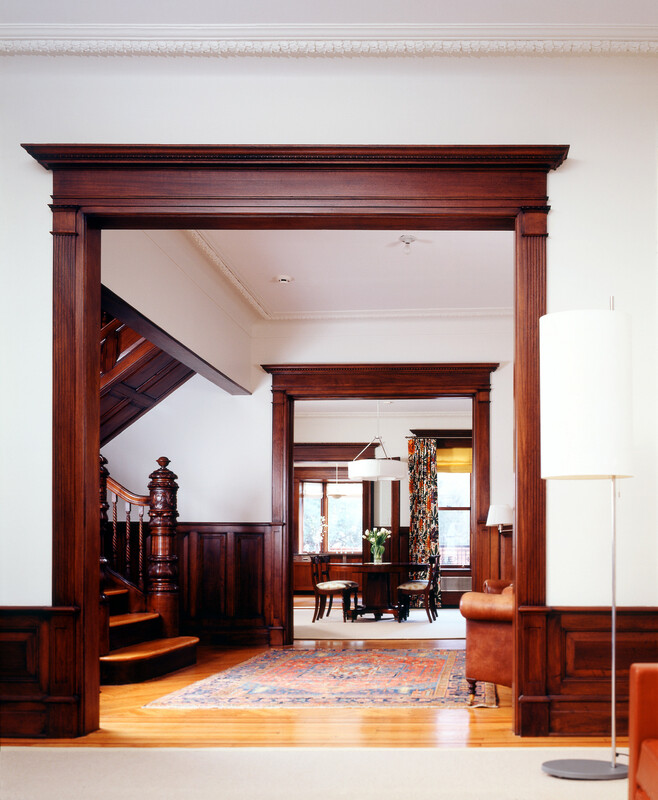 Modern decor perks up the traditional oak and mahogany moldings. 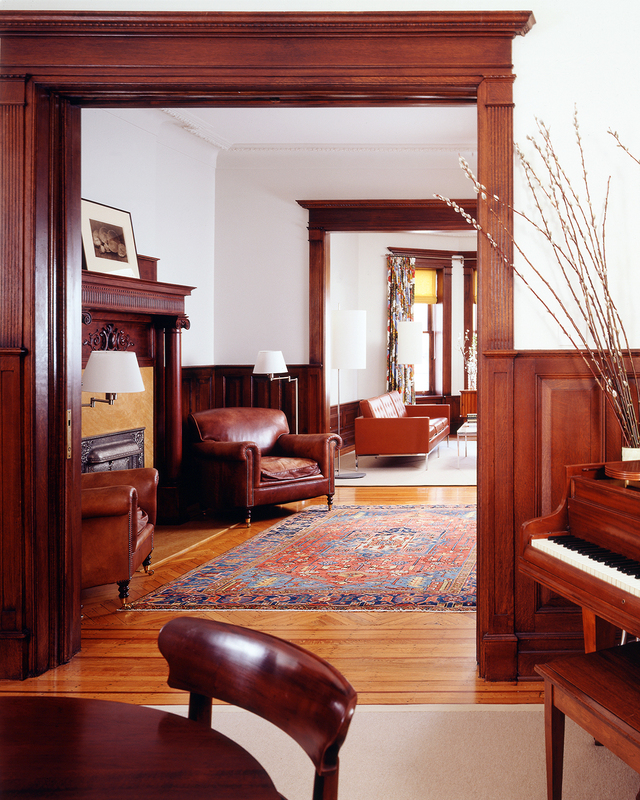 And in a basement once filled with junk, wood wainscot now harmonizes with crisply etched glass doors.